Beautiful stately home in sought after Villages of Leacroft! All brick front! 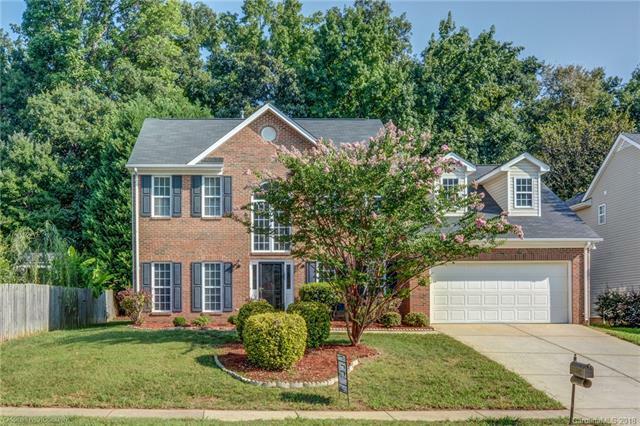 Spacious 4 bedroom or 3BR plus bonus room, 2.5 bath home with great convenience to I-85, I-485, shopping, restaurants, entertainment. Huge open study/office off large two-story foyer across from large formal living area that opens up to formal dining room. Gourmet eat-in kitchen with cherry cabinets, and large pantry. Spacious open family room with gas log fireplace and vaulted ceiling. Upstairs hosts a Large master bedroom and bath with separate walk-in shower and garden tub. Large secondary bedrooms, 4th bedroom could be a huge bonus room/entertainment room. New flooring downstairs, fresh paint throughout and recent landscaping with a private large flat backyard, perfect for entertaining. Established community with awesome amenities pool & clubhouse, playground, & tennis courts. $3k will be given at closing to buyer for updated appliances. MOTIVATED SELLERS!